Thank you so much for choosing us! 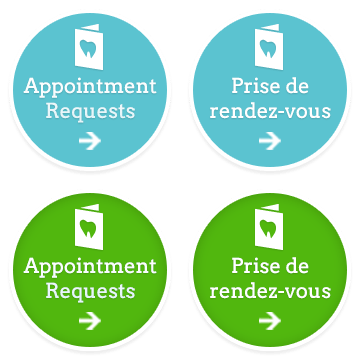 To request a dental appointment please complete the form below, we will notify you as soon as we can to book your appointment. Please note the appointment time may not always be available. Thank you!! If this is an emergency, you may contact Dr. Cameron's emergency line at 780 667 7846. If there is no immediate answer, please leave a detailed message with your name, your phone number and concern. You will be contacted within a few hours. Please try to limit calls between 11 pm and 6:30 am. **We would love to see your friendly faces at either of our clinics, please note if you would like to be seen at Cameron Dental Towncrest Rd, or Cameron Dental Westpark, or no preference. Thank you! !